A: Confirm one way or the other, this fact. B: Let me know if there is a recording, either just audio or DVD/Video of the occasion. Thanks for the question Rob. The answer is that Difford and Tilbrook appeared on MTV Unplugged before it was called MTV Unplugged. The show went out on 26 November 1989 and they played [[Pulling Mussels (From the Shell)]] and She Doesn’t Have To Shave from their newly released Frank LP. 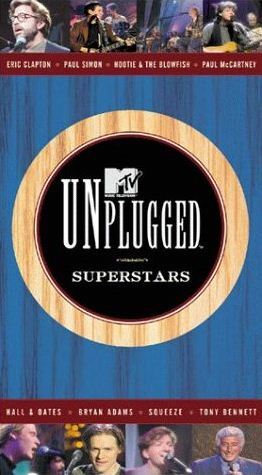 MTV UNPLUGGED UNCENSORED from David Levin on Vimeo. I’ve got it on VHS somewhere in the archive. Can anyone help digitise a copy and upload it to YouTube – or maybe it’s on there already! 4 Responses to "Squeeze on MTV Unplugged"
Thanks Kev – much appreciated! OMG, I would love to have a copy of it. My VHS tape got recorded over (I was sick about it at the time) and I haven’t watched it since, though I remember it well. I may well be able to help with the transfer from VHS to DVD.